FUSE for Windows is a fruitful idea that can help you to have a fresh look at the using of Virtual File System. FUSE stands for “File System in User Space”. This eerie sounding thing in its’ turn denotes a part of the kernel source of an operating system which allows programs to generate their own file systems. The FUSE software module provides a “bridge” between the actual kernel and a backup application, helping to browse backup files, run side apps along with backup, and do other magic things. Originally Windows-oriented, the featured software brings a bunch of Linux backup options along. 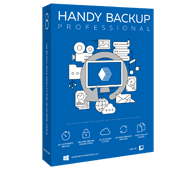 Try Unix system disk image backup with the Professional or business editions. In principle, any resource available to a FUSE implementation can be exported as a file system interface. Just imagine: an automated, encrypted, compressed, remote - FUSE file system can do practically everything. Even if you don’t bother about the creating of your own file system, FUSE worths a look. FUSE for Windows is implemented in Dokan library. In terms of its implementation in programming language Dokan is an API (Application Programming Interface) – some kind of black box with a number of levers, which allows abstracting to the higher level of programming. It is no mere chance, that Dokan means “clay pipe” in Japanese. The Dokan library works as a proxy between an application and the file system application, what looks like a pipe. Because of the fact that while creating a new file system on Windows you need to develop a file system driver. And developing a device driver on Windows that works in kernel mode is extremely difficult. Thereby, not putting too fine a point upon it, by using Dokan library, you can create your own file systems very easily without writing the device driver. Even not exactly to mount Handy Backup File System as a local drive, but it’s great to use HBFS for having a capability to process the data, stored there with any application and utility. For example, you can use rsync utility to remote synchronization, or to use Adobe Photoshop to Edit some pictures, and so on.